So happy to be taking part in this lovely contest organised by my dear friend Anabella from My Washi Tape! 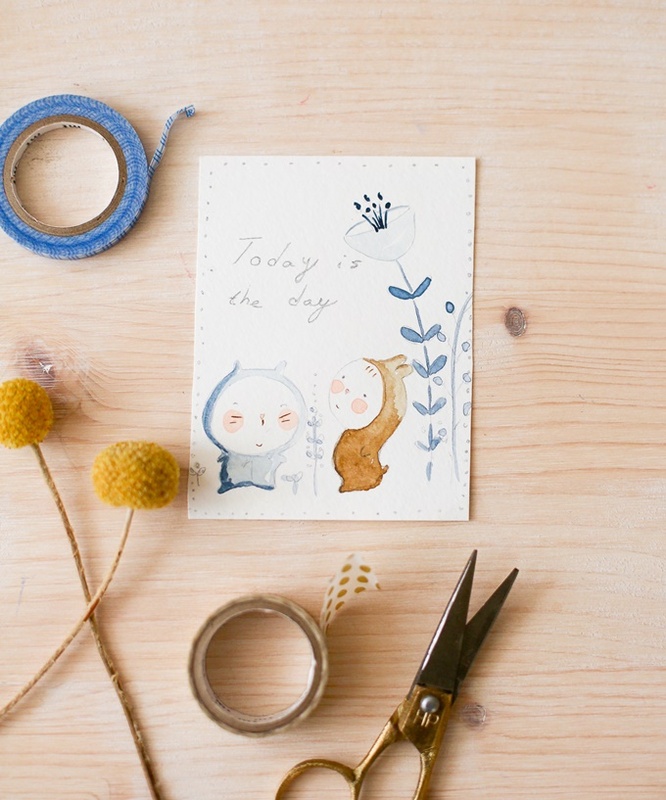 Many illustrators and creatives have to make a card with the phrase Today is The Day. For me it means that Today is the time to be happy, to live , to BE because theres no other moment than this one we are living right now so why not try being happy, accept ourselves and be more in the present. Also! To let you know, Ill be in il mondo creativo in Blogna, Italy this 25-27 November teaching workshops and selling my stationery line ^_^SO happy!! 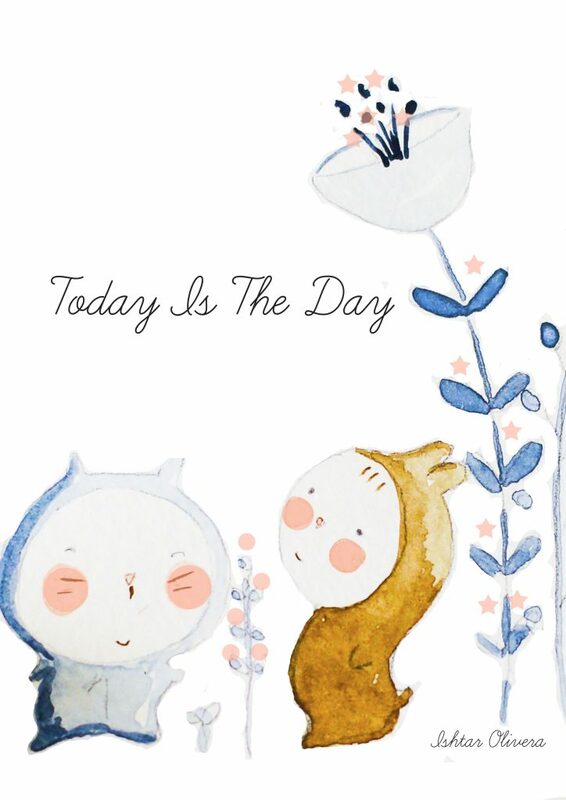 creando una postal con la frase “Today is the Day”. Para mí significa que Hoy es el día para ser feliz, para disfrutar, para vivir, para SER en definitiva porque no hay otro momento más que este que vivimos AHORA y más nos vale intentar ser felices, estar bien con nosotros mismos y vivir el presente. esta frase, que es la que elegì como Leitmotiv para èl pròximo año!